A new exhibition has just opened in London, called A Place to call Home: Where we live and why. The exhibition charts the history of British homes over the last 250 years from Georgian Townhouses to back-to-back Victorian terraces, through to today’s modern and eco-friendly designs. The guest curator of the exhibition is Sarah Beeny, best known as a TV presenter and a property developer. The new RIBA exhibition looks back through the history of our homes and how they have been adapted and extended to meet the needs of modern families. It shows what an important part of our lives our homes are, and how they are one of the great British obsessions, along with the weather. Whilst preparing for this exhibition it was found that the overall size of properties in the UK has shrunk by 50 since the 1930’s. This supports the views of many, that space is of a premium and properties are getting smaller. As one of the leading home improvement companies in the UK, Anglian is passionate about the impact our homes have on all our live. At Anglian we do our best to raise the standard of the service and products that we offer to all British home-owners. 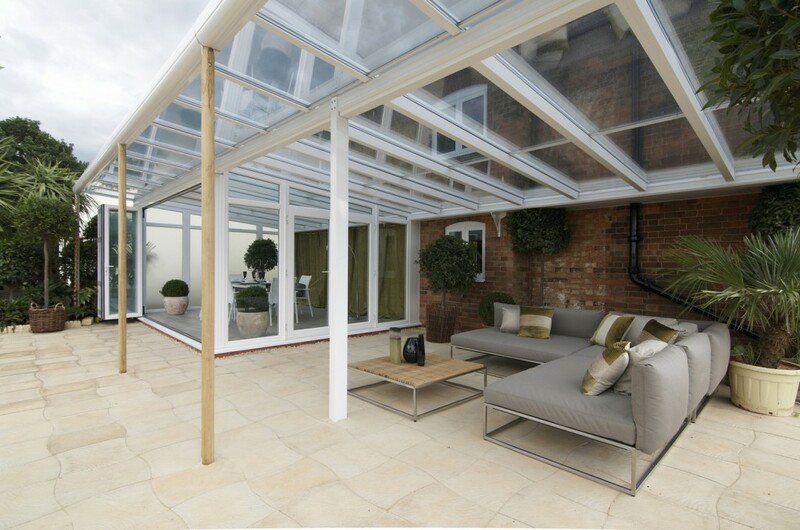 In our experience we have found that having an extra room on to your home either with a conservatory, orangery or a verandah conservatory can have a huge impact on the enjoyment and lifestyle of our families. Some people have even converted their garages into a valuable living space that would only otherwise be used as a storage space, adding value to their properties by extending the living area. Throughout this period we have seen some huge advances in technology, especially within the glass used in the windows and doors. Our modern A-rated EcoGain casement windows represent a truly remarkable progression in window performance and technology. EcoGain windows offer such an impressive improvement on standard double glazing because they not only keep draughts out and more of the heat in, through solar gain it actually helps add heat to your home. This means you can reduce your heating energy usage, helping to cut down your fuel bills and saves you money. If you need to extend your home, we are sure Anglian can help!